Hacienda furniture collection consist primarily of armoires, book cases, china cabinets and wall mirror frames. The furniture is handmade by the artisan from Michoacan. It is a very colonial part of Mexico truly reflected in its home furnishings. We use two type of wood, pine and parrota. Numerous furniture designs were based on Spanish hacienda, Mexican colonial and French Ludwig XIV style. Each detail is hand crafted with a lot of attention to it. 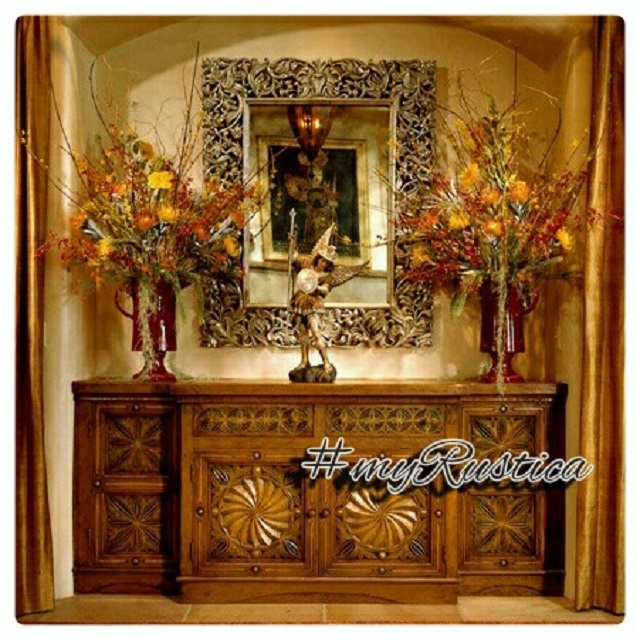 Rustica House hacienda furnishings are custom made, it takes about 90 days to have them made and delivered to the US. Why? The colonial hacienda furniture artist uses semi humid wood for carving. Then, it requires appropriate drying prior to varnishing. If you are in rush to receive your item fast, our furniture is not for you.